The goal at Gunston Middle school is clear: academic excellence in a rigorous and nurturing environment that meets the needs of our diverse student body. Our students are encouraged to work hard, explore new interests, develop positive relationships and build on existing strengths. Our talented, dedicated staff works hard to make sure every child has the tools and time to be successful. A vibrant after-school program with homework help, elective classes, community service opportunities, clubs, sports and special events supplements the rigorous school day. Gunston is home to three academic programs: the traditional middle school program; the Spanish partial immersion language program which offers content instruction in Spanish in science, social studies and language arts; and the Montessori Middle Years program, a continuation of the elementary program. They are organized by interdisciplinary teams that meet regularly to monitor student progress and develop strategies to address each student’s academic needs. 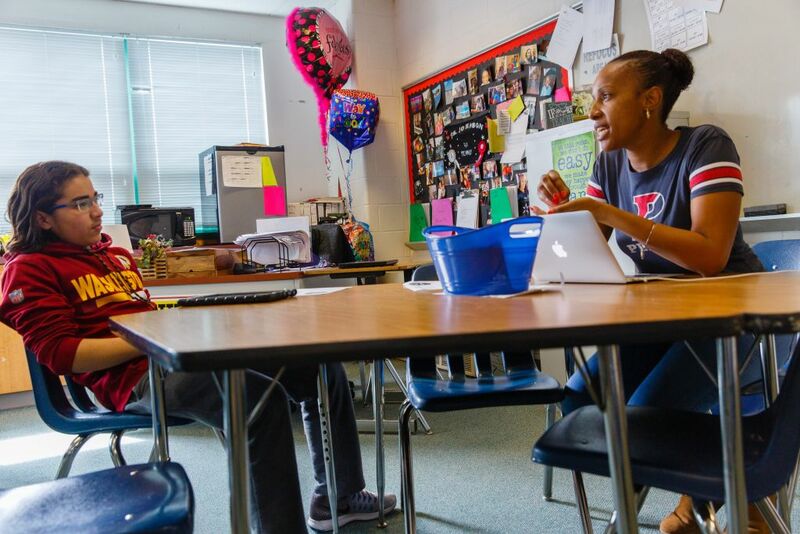 Over 84 percent of Gunston’s teachers and staff have a master’s or doctoral degree. Our elective program is award-winning. Network 21 is a nationally-recognized studio that teaches students all aspects of media production. Our music programs routinely receive superior and excellent ratings. Our Jazz band performs throughout the community. For many years, our visual arts program has won numerous Scholastic awards. Our business and technology education program was cited for excellence by the Virginia Department of Education. At Gunston, we educate the whole child as our students navigate the challenges of adolescence.